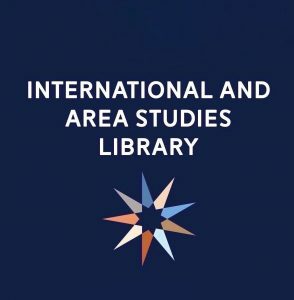 On March 5, 2019, the International and Area Studies Library (IASL) at the University of Illinois Urbana-Champaign received a donation from Professor Koji Taira. This collection consisted of diplomatic documents of the Rekidai Hoan from the Ryukyu Kingdom. Professor Koji Taira is an emeritus professor in Economics at the University of Illinois. Read the rest. With the highest box office collection in India this year, Gully Boy, a Bollywood blockbuster, brings to light the emerging Hip-Hop culture in South Asia. The film has had an overwhelming response, not only in India but also all across the world, gathering positive reviews from audiences as well as critics. Read the rest. In December 2018, Glocal Notes posted a preview of two digital projects from IAS graduate assistants Laura Rocco and Mariah Schaefer. The finished projects were presented February 1, 2019, at the library, along with Slavic Reference Service GA Erika Weir’s Scalar collection “Lithuanians in Chicago.” The goal of creating these online tools was to connect patrons with library materials on niche research topics and materials that might otherwise be difficult to locate, as well as to explore publishing platforms that libraries can use to showcase their collections. Read the rest. Celebrate the NEA Big Read with Us! This past weekend was the kick-off for the NEA Big Read* of Jhumpa Lahiri’s The Namesake. Between the tasty samosas and snacks, the vibrant exhibit, the invigorating keynote address, and the friendly crowed comprising campus and local community members, the kick-off event provided a glimpse of what all is to come over the course of the next six weeks. Read the rest. Balai Pustaka (BP) is a state-run publisher in Indonesia that provides a unique understanding of print publishing, censorship, language development, and Dutch colonialism in Indonesia. Read the rest.